C-Line's long lasting, attractive report covers will make an outstanding impression on your report or presentation. 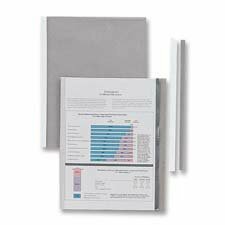 The polypropylene report covers are versatile covers that hold presentations, papers and reports firmly in place. It provides a "no copy transfer"creating an acid-free, permanent storage cover. Economy weight report covers are extra thin and are great for lengthy documents. Clear finish is perfect for showcasing your materials and makes presentations appear bold and bright. The bright and unique colors will help you separate your many activities. These report covers and project folders help you work smarter! A C-Line best seller! 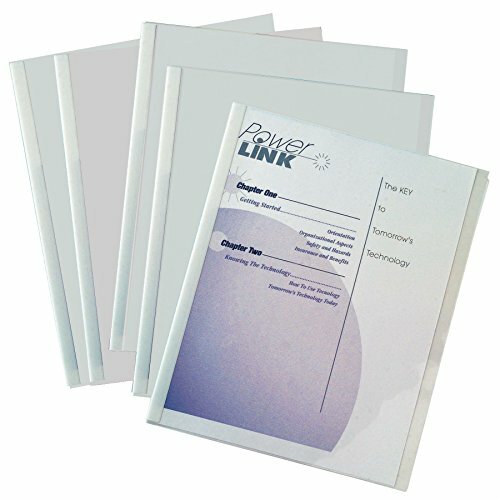 The C-Line No-Punch Clear Report Covers with White Binding Bars are versatile report covers that hold presentations, papers and reports firmly in place - documents stay protected. 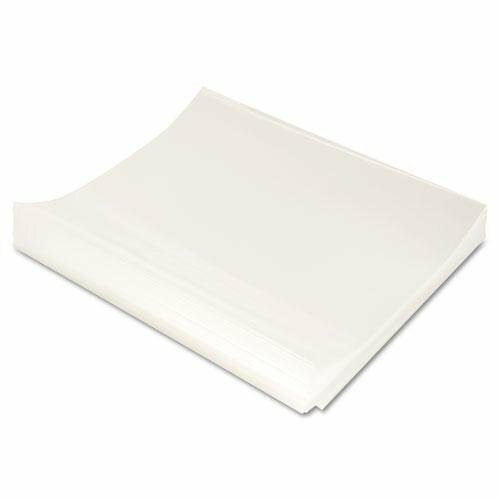 These clear covers come with white 1/8-Inch binding bars (backbones) and can accommodate 8-1/2 x 11 materials. They are constructed of an economy weight plastic. Protect important letter-size documents and make reports look professional by using C-Lineï¿½ Report Covers. Pages will be securely held together in the translucent cover. Add or delete pages without any hassle. C-Line's durable storage box features three compartments for maximum organization. 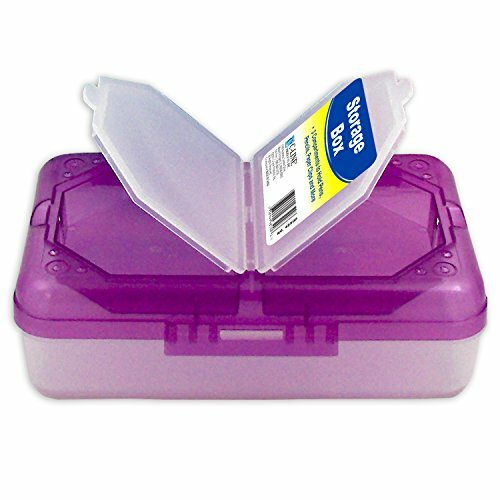 There's a large bottom compartment ideal for office or school supplies, and two smaller compartments in the lid to hold smaller items. Ships in a variety of assorted colors, including blue, aqua, purple and pink. With over 60 years of experience, C-Line’s many product offerings include sheet protectors, expanding files and envelopes, media storage products, laminating film,report covers, project folders, organizational accessories and more. Our products are perfect for school, home and business. 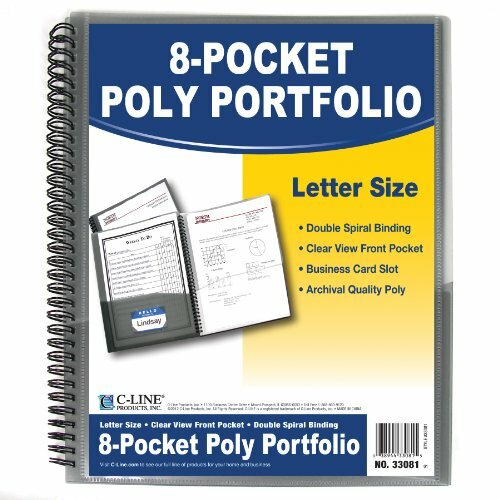 C-Line's Spiral-Bound Poly Portfolio helps you to organize projects, subjects, notes and more in one convenient place. Eight interior pockets allow for detailed organization. Portfolio features clear-view front pocket for cover sheet, double spiral binding and business card holder. Made of heavyweight, archival quality polypropylene. For letter-size documents. Smoke. 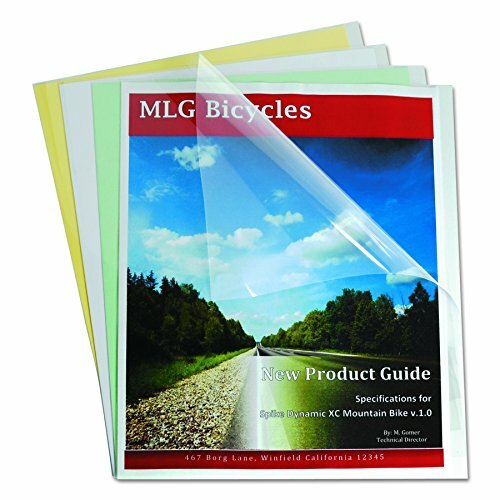 With over 60 years of experience, C-Line's many product offerings include sheet protectors, name badges and holders, shop ticket holders, media storage products, laminating film, report covers and project folders, photo holders, Memory Book page protectors, office accessories, transparency film and more. 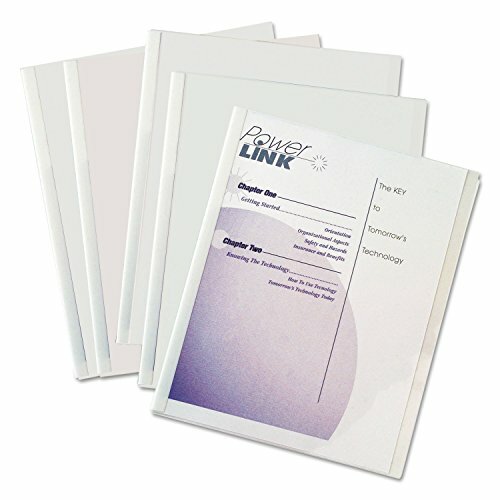 The C-Line Clear Polypropylene Report Covers can be used as report covers or to separate and identify other important information in your files or on your desktop. 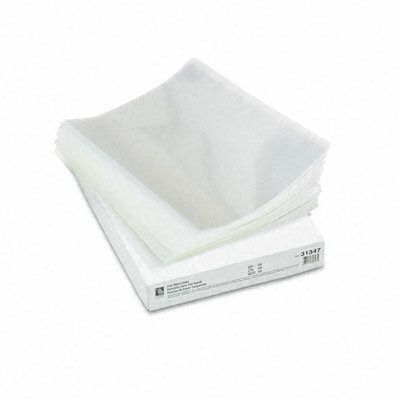 For use with 8-1/2 x 11 materials, these economy weight covers are clear polypropylene. Protect important letter-size documents and make reports look professional by using C-Line Report Covers. Pages will be securely held together in the translucent cover. Add or delete pages without any hassle. White Slide-'n-Grip binding bars. Front Cover Colors: Clear Back Cover Colors: Clear Sheet Size: 8 1/2 x 11 Capacity Range Max: 1/8amp;quot;. 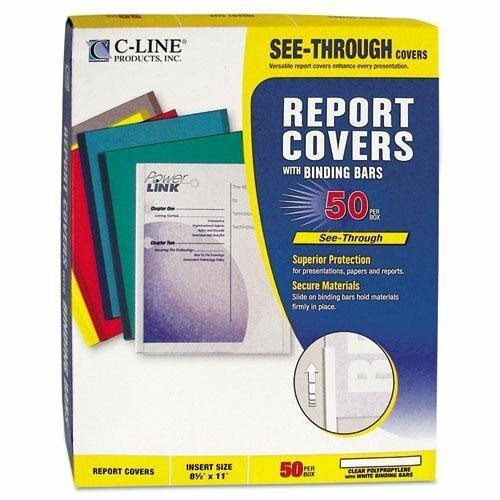 Looking for more Cline Polypropylene Report Cover similar ideas? Try to explore these searches: Lego Naboo n1 Starfighter, Long Shank Coupler, and 2 Piece Salad Server. Look at latest related video about Cline Polypropylene Report Cover. Shopwizion.com is the smartest way for online shopping: compare prices of leading online shops for best deals around the web. Don't miss TOP Cline Polypropylene Report Cover deals, updated daily.